Written for Daily Hive by Emily Ower, a medical student at the University of Calgary and a Jack Talks Speaker and Network Representative with Jack.org. Emily believes that the silence surrounding mental health is keeping young people from getting the help they need. But she also believes that mutual support, understanding, and openness are powerful forces in overcoming any struggle. This month, over two million students will be heading to post-secondary campuses across Canada. It’s an exciting time for many – starting a new chapter, meeting new friends, and experiencing real independence. But for lots of students, it’s a tough transition, one that will see people struggle with their mental health for the first time or contend with familiar struggles in an unfamiliar place. For me, this transition was incredibly challenging. I first started struggling with my mental health in high school but for years, I kept silent about my diagnoses of Major Depressive Disorder and Generalized Anxiety Disorder because I felt like I should be able to deal with these things on my own – especially since I felt like I’d be burdening my friends if I lent on them for support. This was incredibly isolating, and it was an even more isolating experience as I transitioned to university and dealt with the stress of building new support systems. It took me reaching a crisis, as well as seeing my friends experience crises of their own, to realize the absurdity of keeping silent instead of creating communities for support when so many of us were struggling. Now I share my story to encourage openness and empathy, to increase mental health literacy, and to eliminate shame – shame that thousands and thousands of young people are tired of. Our generation is frustrated with the current mental health system. We’re not educated early on about our own mental health, we aren’t taught how to care for it or how to be there for our peers, and generally, we can’t get the support we need when we need it. If we need help and can’t afford to pay privately, we’ll be waiting about nine months to a year just for an appointment. At the same time, we may end up having no connection or common understanding with the professional providing help, and then we have to sit and wait again. Things need to change and we all need to lead that change in a way that works for each of us. Our generation is growing increasingly open when it comes to talking about mental health and mental illness. I can tell my friends that I’m going through an episode of depression or that I’m going to counselling after school, and for the most part, I can expect support and compassion rather than rejection or fear. That said, this kind of supportive environment among many young people didn’t just happen spontaneously. So many individuals in our generation (often people who have struggled significantly with their mental health) have tirelessly kept talking, educating, and persevering through stigma and rejection to create these spaces. They’ve broken silence, spoken up, and made change. The fact that we’ve been able to create some safe spaces to talk about mental health is remarkable. But we need to keep pushing, and we need to consider the broader oppressive structures that provoke poor mental health and make help-seeking difficult. We need to work to dismantle racism, classism, ableism, homophobia, sexism, and cissexism in our everyday lives as well as in our mental health systems. These are big problems, but working through them is essential: because suicide is still the #1 health-related cause of death for young people in Canada and these aforementioned issues only exacerbate struggle. That is unacceptable and we can do better- especially if each of us makes an effort to start conversations instead of maintain silence. As a Jack Talks Speaker for Jack.org, I go to high schools and community events to educate young people on mental health to ensure they’re more comfortable talking about mental health and to promote understanding of how take care of themselves and look out for their peers. Transitions can be a very tough time for young people, and high school to post secondary is a particularly challenging one, since young people leave behind support systems and move to a new and high stress environment. Through my own transitions and experiences, I’ve learnt a lot that I wish I had known. Hopefully these tips can help some students that are transitioning into post-secondary this year. The transition to post-secondary can be tough for anyone, even if you’ve never struggled with your mental health. Preparing in advance is something that most people don’t do, but it is so important. Schools do try, but don’t provide enough support nor promote knowledge of what’s available for students. Before arriving, find out what resources are available to you on your campus. Call the school, read the website, and research what’s available off-campus. Don’t be afraid to talk to your professor/academic advisor if you’re struggling with your mental health. There are academic allowances that are there to help you. Say something if you need help or accommodations. Sometimes professors may not respond well or might downplay your challenges: unfortunately the stigma around struggling can be very much present. Try not to get discouraged and find another professor, advisor, or campus support person who understands what you are going through and can help advocate for what you need. If there’s something you need help with, there are resources that can help support you and people that can help you find them. Getting involved with Jack.org has helped my mental health through creating meaning in what I’ve experienced, as well as creating another supportive community for me. If there’s a Jack Chapter at your school, I’d definitely recommend joining. If not, you can start one. Book a Jack Talk at your high school and get the mental health conversation started. Stay connected to the things that you are passionate about, whether it be sports, hiking, music, politics, or board games. Finding communities that care about the same things you care about help add meaning and support when things are challenging. 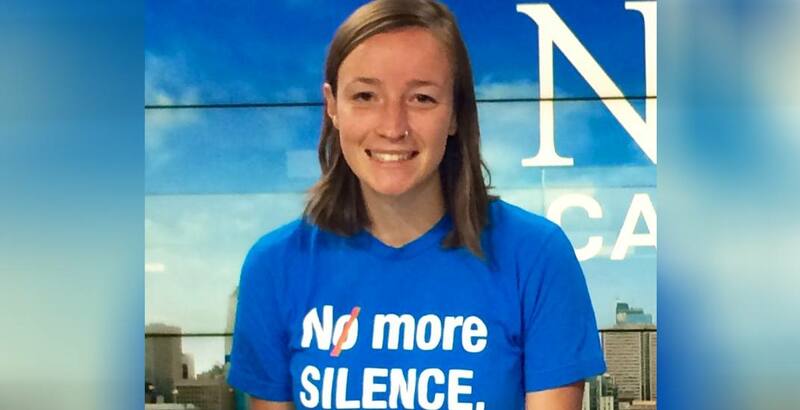 When it comes to mental health, doing nothing perpetuates silence. We have dealt with shame around our mental health for too long, and consequently, we seem to only talk about mental health when people are in crisis. I’m hopeful that it doesn’t have to be this way – that we can be open and supportive in groups of friends and our communities. That we can all talk without shame about our mental health. That we can all do our small part to make a collective impact. That we can ensure every young person gets the help they deserve. Together. If you’re looking for a way to help today, Jack.org’s #DoSomething social campaign for Suicide Prevention Day will be running all month. Suicide is the #1 health-related cause of death for young people in Canada. That’s unacceptable. One in five young people will experience a mental illness, but we all have mental health and we all need to care for our own. 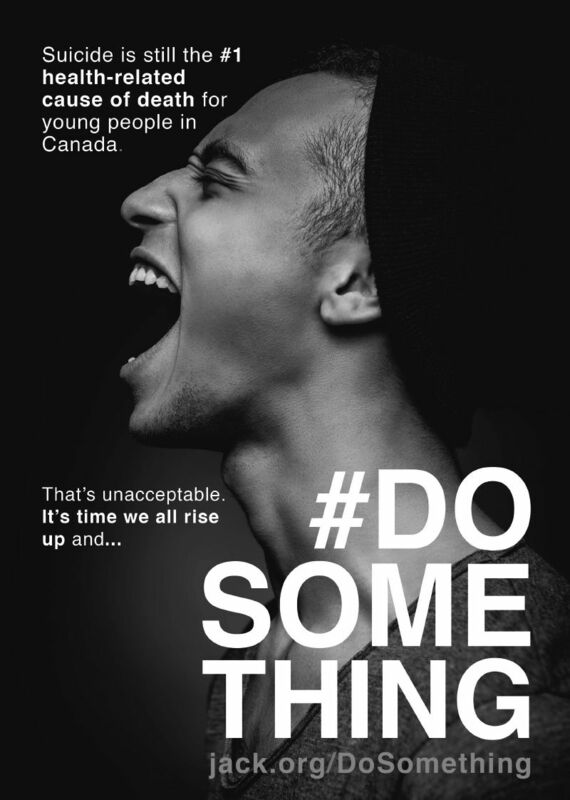 And if we want to make serious change, we all need to #dosomething. Find out more info or get involved at jack.org.